Paul Mainieri and LSU trainer Cory Couture jogged out of the dugout to check on Josh Smith, who’d just fouled a ball off his ankle. Not only did Smith stay in the game, but two pitches later he skied a towering three-run homer into the right field bleachers. It looked like a routine fly ball off the bat and just kept carrying. 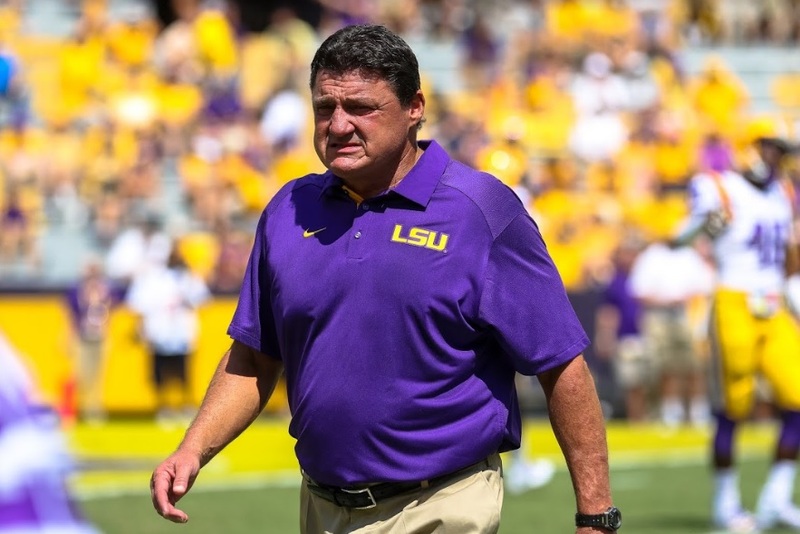 It was that kind of night for LSU. 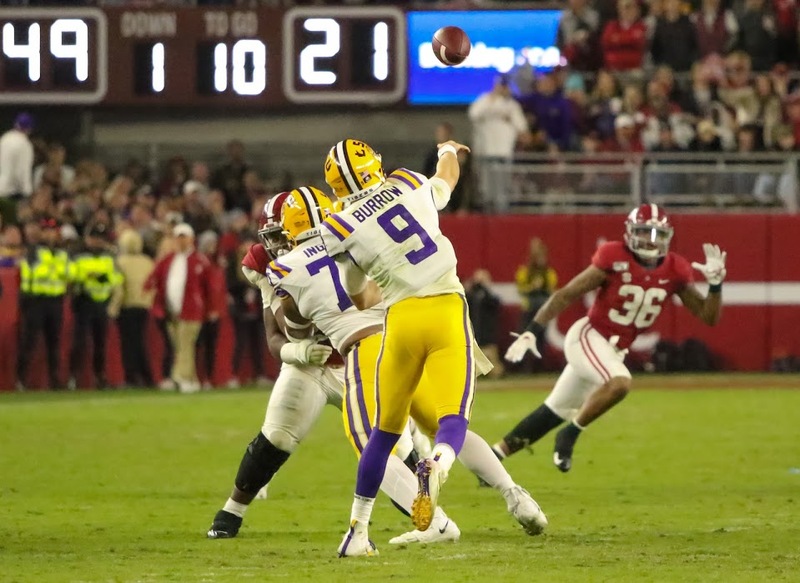 Smith’s third home run of the season capped a seven-run third inning as LSU crushed an overmatched Grambling squad 9-0 on Tuesday night at Alex Box Stadium. 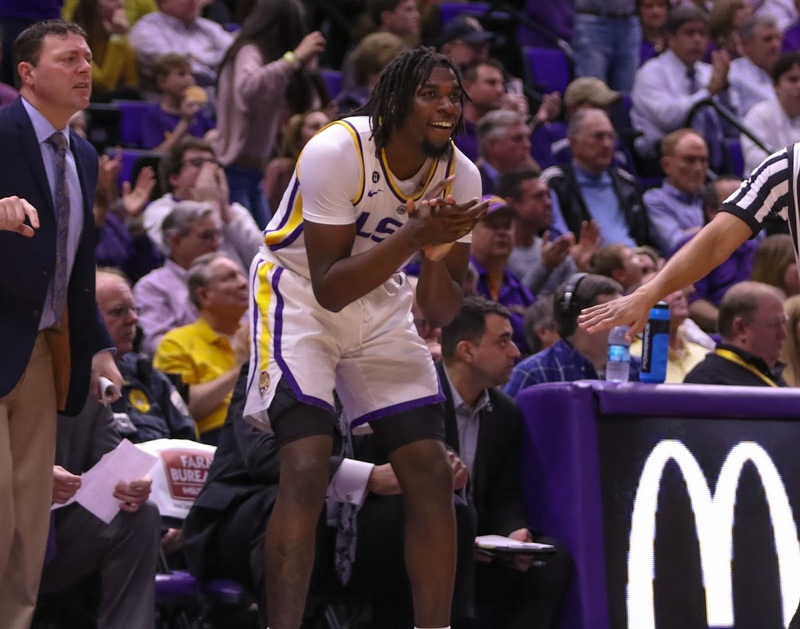 LSU (20-9) has won three in a row since snapping a four-game losing streak. 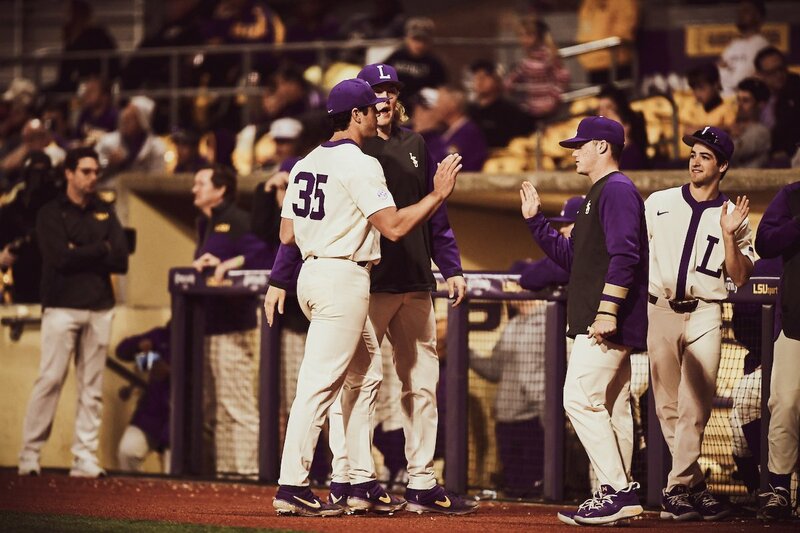 LSU got through its first of two midweek games without taxing its shorthanded pitching staff thanks to five shutout innings from Clay Moffitt. Mainieri needed length from his veteran right-hander, and Moffitt delivered the longest outing of his LSU career. The senior has now logged 13.1 scoreless innings to begin his season, and he allowed just two hits while striking out five against no walks. Moffitt’s pristine ERA appeared to be no more after allowing a solo homer in the fourth inning, but instant replay concluded the ball actually hit the wall. Freshmen Rye Gunter and Will Ripoll picked up where Moffitt left off and worked two shutout innings apiece. The trio combined for a five-hitter. LSU will be back in action against South Alabama on Wednesday at 6 p.m. Ma’Khail Hilliard will start with a cavalcade of relievers to follow.